The first time I heard Burgoo was during the early 2000′s from a restaurant in the Philippines named Burgoo, I never knew it was a dish during that time until I Yahoo’d what it means (during that time Google was not yet popular). So after looking at the posts online, I was convinced to make this one at home as the description alone makes me want to have one, badly. I’ve been through Kentucky many times and have never heard of Burgoo. Roadkill…have heard of that though. I loved the reference to Yahoo’d it. LOL! With the cooler evenings, it’s starting to be time for a big bowl of stew that’s as hardy and healthy as this one. Hi Raymund, Love the idea of a communal effort in making this stew. There’s something really reassuring and comforting about slow cooked food and it’s best to get as much in, before the weather heats up for sure! Comfort food at its best ! 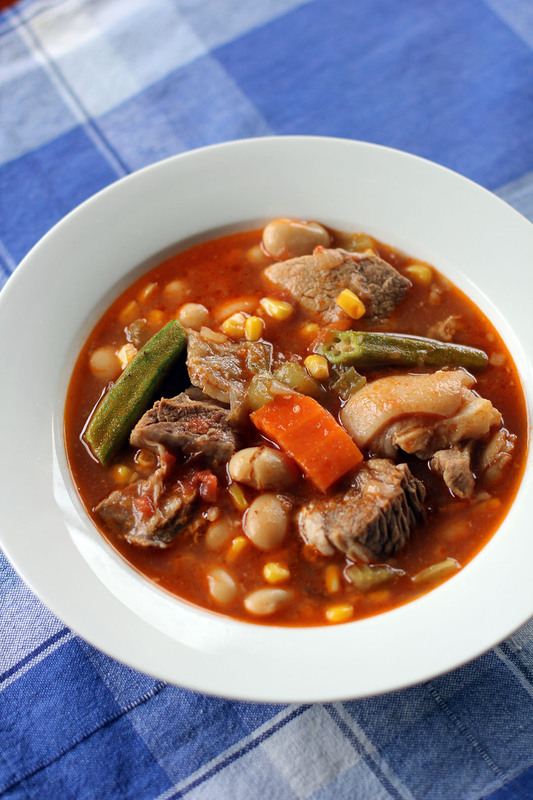 Never heard of burgoo before.. thanks for sharing the recipe, you learn something new everyday!